The Stirling Fund announces the support of 12 student focused projects. From five week placements in Zambia for health students, to purchasing life saving equipment for the University Mountaineering Club, the donations from alumni will enable students to enhance both their studies and their recreational activities. 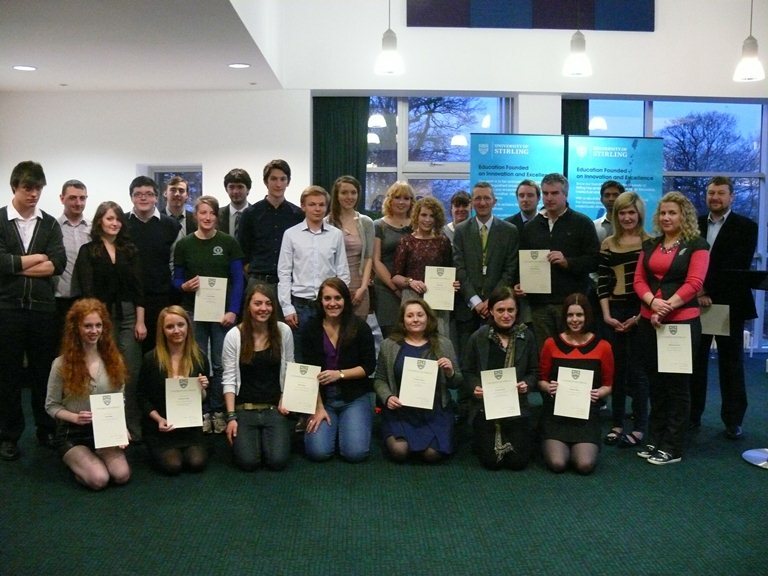 The Stirling Fund was established by the University in 2011 to support specific one-off initiatives, start-up costs and projects that heighten the student experience at Stirling. Director of Development and External Affairs, Kerry Bryson, said: “All monies raised through the Stirling Fund are used to enhance the quality of the student experience at Stirling, as well as areas of greatest need. This year we have funded a wide variety of projects which appeal to both the students and the donors. Applications are invited from staff and students across the University for suitable projects requiring funding. Successful projects this year include much needed equipment for the Students’ Union Air TV studio, a student-led dissertation workshop, a creative singing group at Stirling’s Highland campus and coaching and professional refereeing for the University's Ladies Football Club. Grants range from £500 to £2500. The successful candidates attended a presentation held in the University Court Room where they were presented with their awards by the University’s Director of Finance, Liam McCabe. Robyn Spice, a third year Sport Studies student who collected an award for the University’s Ladies Football Club said: “We are over the moon to receive this award. It will enable us to purchase essential equipment and allow us to fund resources for the club which will improve our performance.